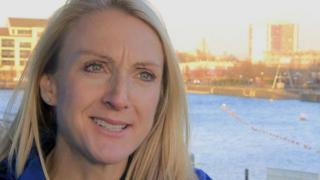 Paula Radcliffe discusses the importance of encouraging mothers, like herself, to get active. "If you want to get everyone fit, get the kids out, get the family together, then target mum!" says the former Olympian and women's marathon world record holder. Paula trained six women for the 2015 Manchester Run, taking them from novice to 10K runners as a way of promoting the benefits of running for health and for fun. If you would like to reap the rewards yourself, take a look at our guide to getting into running to get started. Fancy training for a goal? See our mass participation running page to find an event that is right for you.